The new Family Justice Center in downtown San Jose officially opened for business on August 15.
Who: The ceremony will include remarks by: Chief Justice Tani G. Cantil-Sakauye, California Supreme Court and chair of the Judicial Council; Santa Clara County Presiding Judge Rise Jones Pichon; and Santa Clara County Judge Brian Walsh. When: Monday, October 17, 2016, 2:00 – 3:00 p.m.
Why: The courthouse officially opened for business on August 15. Funded through Senate Bill 1407, the new building replaced and consolidated the court’s use of six overcrowded and obsolete buildings scattered throughout downtown San Jose. 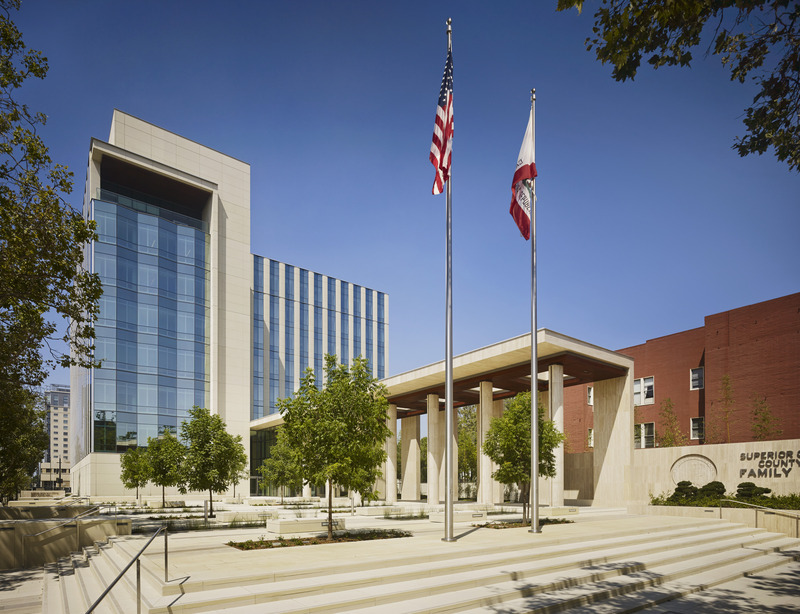 For more information, see the project fact sheet or visit the California court’s website at http://www.courts.ca.gov/facilities-santaclara.htm.